Most of you would have known that I have blogged about C-Jello Collagen Jelly Bar previously. 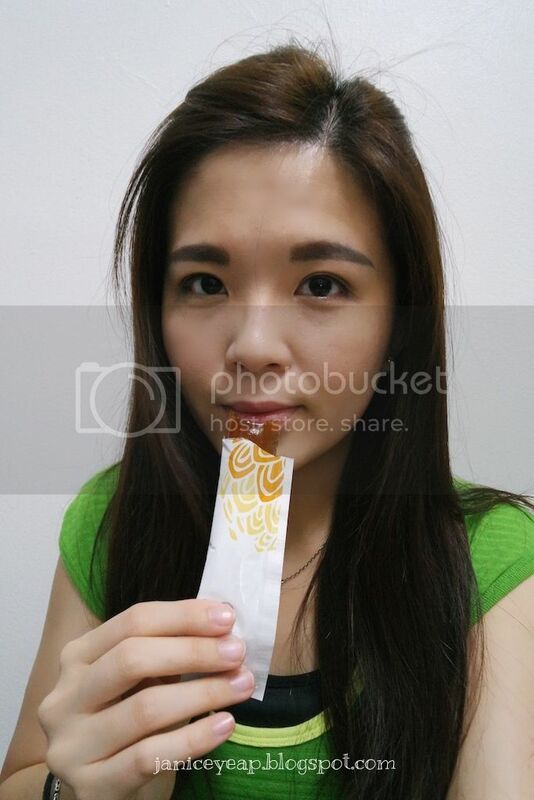 To those who haven't, you may refer to the link here: http://janiceyeap.blogspot.com/2015/08/c-jello-collagen-jelly-bar.html. Today I would like to take this opportunity to share with my readers the results after taking C-Jello Collagen Jelly Bar for 14 days. Before I proceed with the results, let me give you a short introduction of what is C-Jello Collagen Jelly Bar all about. 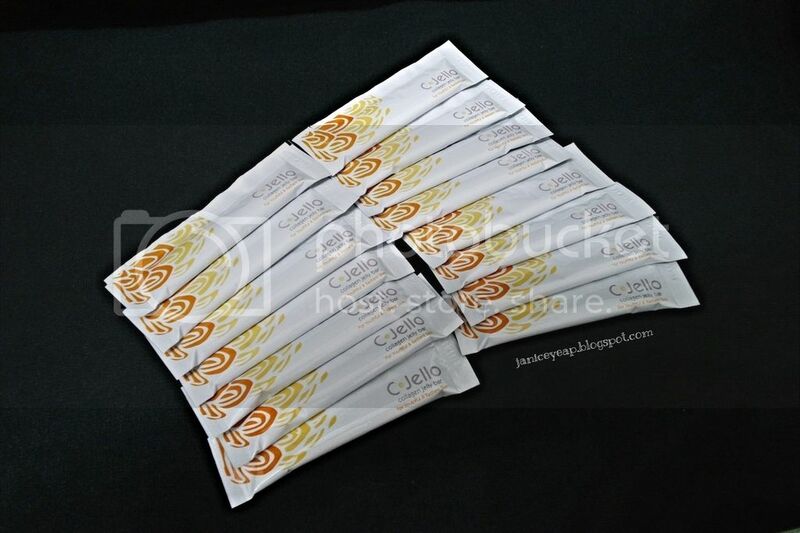 C-Jello Collagen Jelly Bar is the FIRST ever collagen jelly bar exclusively created in Korea and it was produced to deliver the most effective absorption and with ease of use in mind. The jelly bar supports the restoration of the skin by promoting the appearance of youthful, healthy and glowing skin in a safe and non-invasive way. Each box comes with 15 sachets and you can consume 2 sachets daily and one box will last you for a week. There is 30 mg of Vitamin C in each sachet. The Vitamin C in C-Jello is the co-factor and aids in the formation of collagen. C-Jello is safe to be eaten for pregnant lady as it contains more than 18 essential ingredients which benefits both mother and baby. Other than that, C-Jello is safe to eat because the sweetness is from natural ingredients which is lower than an apple. 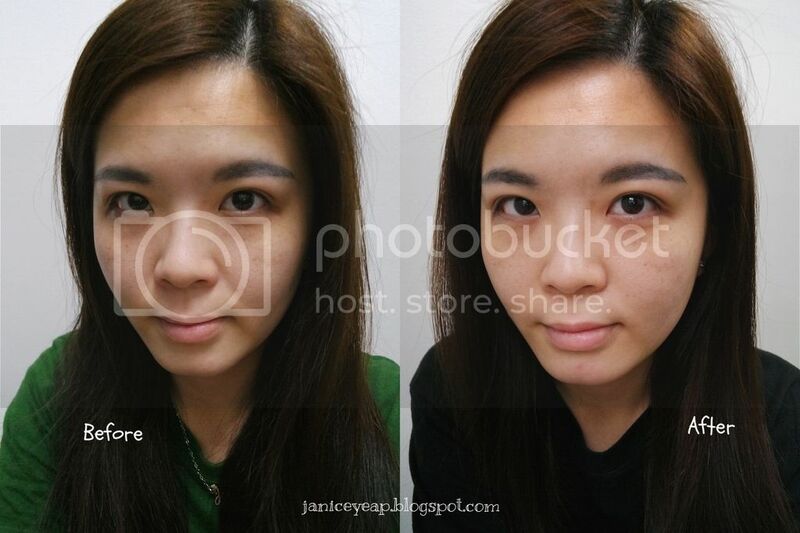 After consumed the C-Jello Collagen Jelly Bar for 14 days, I noticed the difference on my skin. My skin becomes fairer and more radiant than before. Other than that, I noticed the firmness of my skin has significantly improved especially on both of the cheeks area. The best part is that the dark eye circles are slightly reduced too. Yay! If you asked me if I am going to purchase more, I will definitely say YES because it did help to lighten up my pigmentation and brighten up my skin. In addition, with this jelly bar, it becomes so convenient that I will just have to tear the sachet and pop the jelly bar into my mouth wherever I go be it travelling or anywhere. Anyway, for more information on the C-Jello Collagen Jelly Bar, please visit their website: www.skinsoul.com.my or Facebook: www.facebook.com/cjello.collagen.jelly.bar.